Ocho Rios Jamaica: What a Beautiful Resort Location! Ocho Rios Jamaica do mean eight rivers, but this isn't really factual. There aren't eight rivers and it's believed this city has received its name as a misinterpretation for the word waterfall. Still it is known for its all-inclusive resorts, verdant landscapes and rolling hills, and is situated on the island's northeast coast. It was once the place to go to and be seen by a host of British and American literati. Also, Ian Fleming, creator of the James Bond spy thrillers once lived in the area at Goldeneye. This is a beautiful resort area made very popular because it was featured in the very first James Bond movie. It was the home of Miss Taro in the film Dr. No. Now Ocho Rios Hotels offers everything from simple guest houses to opulent resorts. You can book any Ocho Rios Hotels through this link. I highly recommend this list of hotels. There are a number of activities and fun things to do when traveling to Ocho Rios, including attending the yearly Jazz Festival. These all-inclusive, Sandals Ocho Rios Resort, and Couples Tower Isle are elegant and classy. They'll not only be able to provide you with a place to sleep, but you'll be able to plan and do all of your activities through them. Sandals Royal Plantation Ocho Rios is another luxurious all-inclusive, Butler service resort that will fulfill all your vacation needs. They're all inclusive resorts and are able to provide you with all of the planning and scheduling you'll need when you're on vacation. Or you might just want to relax and listen to some Jamaica reggae music. So look at all of your options and consider what they'll be able schedule for you. It's almost like having a vacation planner. Sliding down a zip line into the ocean, or through the trees down a hill. Going on guided tours of the region. Going horseback riding while on the beach. Exploring caves and rock climbing. Visiting some waterfalls, there are other apart from Dunn's River Falls. These are just some of the many activities you can enjoy while you're vacationing in Ocho Rios. If you're looking to truly enjoy the Caribbean and don't want to stay in one place for your entire vacation, you should book a cruise. You'll be able to set up multiple ports that would include travel Ocho Rios Jamaica. You won't want to miss the waterfalls or partake in the resort activities that are available to you when you're in port. 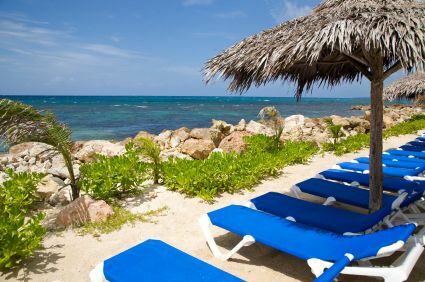 Return to Home Page from "Ocho Rios Jamaica"